1979 – Graduated from the Senior Administration College (under the auspices of New York University). 2003 – An honorary member of the Real Estate Appraisers Association in Israel. Activities – 1955 – Owned a surveying firm. 1967 – Founded Z. C. Company for Surveying and Engineering. 1977 – Head of the Ministry of Justice Department for Real Estate Appraisal – Chief Government Valuer. A member of the Compulsory Acquisitions Committee attached to the Ministry of Finance. A member of the Appeals Committee for Land Appreciation Tax and Property Tax. Consulting on real estate matters for government ministries. Consulting for the National Town Planning Council. 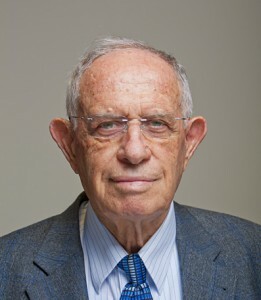 Chairman of the Committee for Computerizing the Land Registry Ledgers and the Computerization of the Israel Land Administration’s properties between the years 1977-1980. Chairman of the Association of Licensed Surveyors. Organizing the system for state properties in Judaea and Samaria. Coordinating the assessments of the country’s investments in the Sinai Peninsula (for the peace treaty with Egypt). Lecturer at Tel Aviv University – Real Estate Appraisal Faculty. Further education courses to lawyers in real estate matters. Presented lectures to the Forum of Municipal Council Mayors and Supervisors on matters involving property, land registration and land management policy. Lecturer for further education courses for the Association of Engineers and Architects on arbitration topics. Lecturer for further education courses for lawyers on real estate matters – University of Tel Aviv (masters degree). Representative of the Association of Real Estate Appraisers in Israel with foreign contacts. A member of international real estate appraiser organizations. Prepared town plans and reparcelation plans for millions of sq.m. of land in Israel. A survey involving some 2,000 sq.km. in the Negev region for registering agricultural allocations for the Israel Land Administration. Consulting services to local authorities on town planning matters and a member of the Outline Plan steering teams. Organizing the municipal tax systems in many towns, including consulting services to the Ministry of the Interior’s research department. A member and chairman of the Examinations Committee for the Association of Real Estate Appraisers in Israel. Prepared property valuations and feasibility studies for entrepreneurs and authorities. An expert on behalf of law courts on matters involving compulsory acquisition compensation, the distribution of assets and liquidating partnership agreements. Planning highways and development works, planning the Refidim Road – Trans- National Highway No. 6. Chairman of the board of directors of the Tahal Partnership – the Company for Photogrammetry. Conducting valuations for financial statements – I.F.R.S.